See my post over at SC Johnson Family Economics to see how easy it is to whip up a quick and easy host gift with a rolling pin and free printables! This entry was posted in cooking, Family Economics, Free digital downloads, Free PDF files, Printables, SC Johnson. Bookmark the permalink. So cute! I love plaid 🙂 I can see wrapping some plaid over the smaller gift loaves I’ll be giving this year. Thanks Cathe! 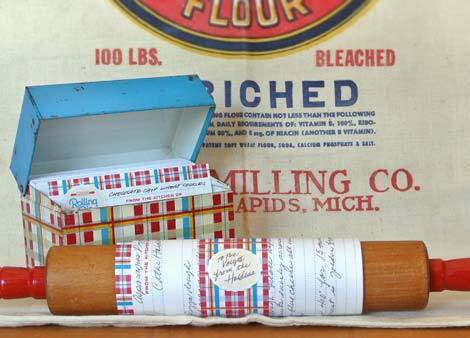 This is a great idea, but I haven’t been able to find any recipe card boxes for the last couple of years. Great gift idea and just love the plaid print!